The Baltimore Orioles under new manager Buck Showalter have become a force in the American League and the American League East. On August the 2nd the O’s had the worst record in baseball, even lower than the perpetual dwellers in the Marinas Trench of baseball the Pittsburgh Pirates. In four months of play the O’s had but 32 wins and had gone through two managers. They were on pace to lose well at least 110 games and maybe more games than any team in Major League Baseball History in a 162 game season. At the end of last season I said that manager Dave Trembley had to go. At the time I suggested Bobby Valentine as a replacement. After Trembley was fired Valentine as well as a number of other candidates was interviewed, shortly after Valentine removed himself from consideration as a possible successor to Trembley. 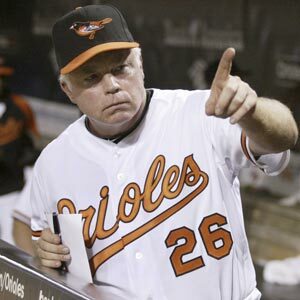 On August the 2nd the Orioles hired Showalter to take the place of Interim Manager Juan Samuel. When Showalter took over the Orioles no-one gave him much of a chance of making any real progress this season, most considered the Orioles a lost cause. I did not think so. At the beginning of the year I predicted that the Orioles would be a .500 team and that this would be a good year for them. That prediction did not materialize but it was not a question of talent but of leadership and the ability of the Orioles Coaching staff to get the best out of the team, especially the young talent. The team is playing to the level that I thought that they could at the beginning of the season. It is my belief that finishing a season well is an indicator of the real potential of a team. If one was to simply look at the Orioles aggregate win and loss totals one might say that the season was a disaster. That is not true. The first 4 months of the season were an unmitigated disaster as the team lost 16 of its first 18 games and never recovered under the management of Dave Trembley and Juan Samuel. The team was obviously demoralized and looked to an outsider that they believed that they would lose when they took the field. Young players, especially the young pitchers either got knocked around or were given no run support. Veterans acquired in the off-season to provide experience and on field leadership to the youngsters were a bust and the team had numerous injuries to key players. You could not have a worse first two thirds of a season if you tried. There were turnarounds in hitting as well as starting pitching. Orioles starters went 26-15 with a 3.13 ERA after Showalter. With that their starters were the 3rd best rotation in majors since August 2nd. They have the third best record in the Majors since August 2nd with only the Phillies and Twins winning more. The Orioles have a lot to look forward to. Buck Showalter will not rest in the off season as he gets the O’s ready for next year. There will be changes. I would think that pitchers Kevin Millwood and Mark Hendrickson will be gone; others will have to fight for their jobs. In the off season Showalter will take the raw talent that has been present on the Orioles at the Major League and Minor League levels make prudent trades as well as assignments within the organization to get them ready to challenge the rest of the AL East in 2011. While the Orioles are definitely on the way up one has to take a look at how others are doing not just in the East but in the Majors. In the AL East the Rays Owner says that payroll will be significantly reduced and with numerous key players in contract negotiations and declaring free agency they will not be the same team that they have been the past three years. The Yankees and Red Sox are both showing signs of age with the Sox being in worse shape in the long run because they have little to speak of in their minor league system are saddled with a good number of older players and have key players entering the free agent market. The Yankees can always spend money but as the core of the team, Jeter, Posada, Pettitte and Rivera get older they will lose something. Since the organization will be unlikely to trade such favorites at some point they will spend more time on the DL and not perform as well as in previous years. It is simple; the older guys get the more that they wear out. This may prove problematic for the Yankees in the coming years. The Blue Jays finished strong but one does not know what will happen with them with the exit of long time manager Cito Gaston. Outside of the AL East only the Twins performed really well. Almost every team in the AL was just above .500 or below during the last two months of the season. This includes teams that have a history of doing well and some that are playoff bound. Finishing well matters and with the exception of the Orioles and Twins in the AL no teams finished strong, many stumbled and the proof is in their records. All of this bodes well for the Orioles especially if Showalter is able to continue what he started this year. I expect the Orioles to be competitive in the AL East. I do not think that they will necessarily win the division but they will not be the door-mat that they have been for so many years. There is work to do in Birdland but for the first time in years there is real hope based on their performance the last two months of the season. The team believes that it can win every time it takes the field. When there is leadership and talent there is no limit to where the O’s can go. Over the off-season I will continue my reporting and commentary on the Orioles and their organization, particularly the Triple-A affiliate the Norfolk Tides. 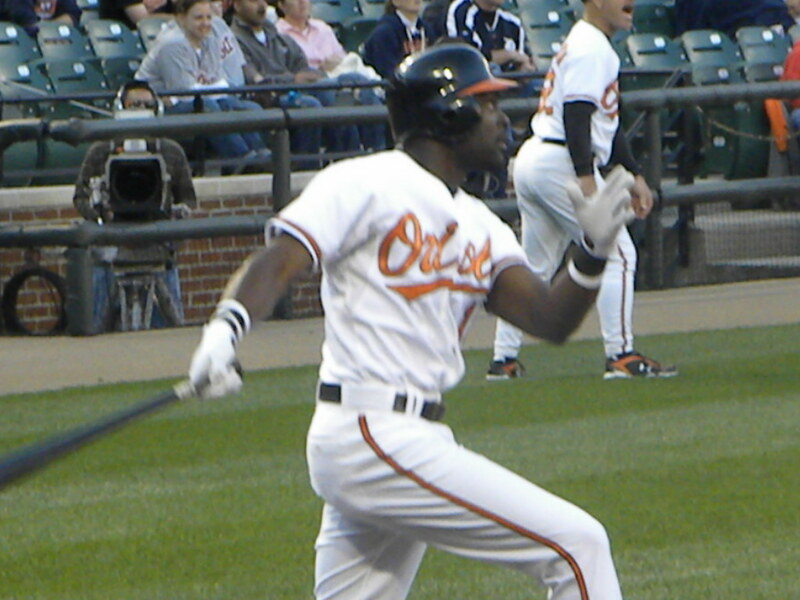 Over the next month I will be commenting of the MLB playoffs and begin to publish articles on the young talent in the Orioles organization and what I think might happen as Buck Showalter and Andy McPhail makes the changes to the organization to make the team a force in the American League for years to come. The Norfolk Tides were downed by the Indianapolis Indians on Tuesday by a score of 10-6 and Wednesday afternoon 7-4. As was the case in Louisville it was in large part due to pitching though unlike the Louisville series only one of the two games could be held against the starting pitcher. In an unfortunate turn of events for the Tides Chris George was forced from the game after retiring the first two batters in the first inning with an injured elbow. He has not yet been placed on the DL and there is nothing currently on the Tides or Orioles website as to his status and the severity of the injury. In most of his starts this year Chris has been solid and if he is injured it will place even more stress on a struggling Tides starting rotation which could affect the bullpen. The bullpen with the exception of Tuesday’s game against the Indians has been very effective allowing the Tides to stay in games that earlier in the year would have been blowouts. With Jake Arietta, Alfredo Simon and Armando Gabino now at Baltimore the Tides are without their three most effective starters. Chris Tillman has been affected and he has not been as effective as he was earlier in the year I believe by the constant actions of Orioles management to keep sending Chris up and down between Baltimore and Norfolk. 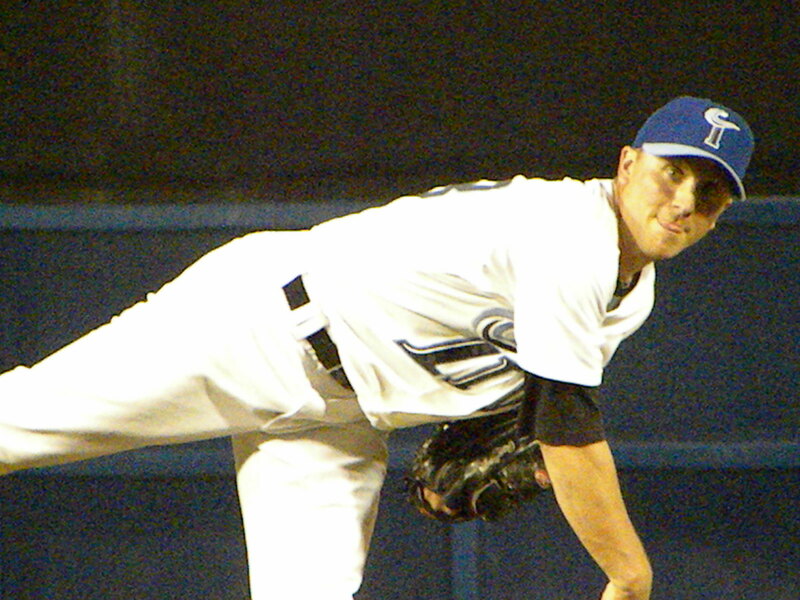 He has had some outstanding games including a no-hitter against the Gwinnett Braves. Troy Patton has improved throughout the year and is now one of the Tides most dependable starters, unfortunately for the Tides he has missed several recent starts due to being called up to Baltimore where he saw no action. Brandon Erbe had a number of rough outings and during his good starts did not have run support from the offense or saw the defense commit errors that resulted in runs. Tim Bascom called up from Bowie in May has struggled his last win occurred on June 27th and was tagged for 7 earned runs in today’s game. Zach Britton who was called up on July 1st has been effective despite a record of 1 win and 2 losses. His worst outing occurred in Louisville where he gave up 5 earned runs in 3.2 innings. Chris George as I mentioned earlier has had a decent but not remarkable season but now the verdict is out concerning the severity of the injury to his elbow that he appeared to sustain Tuesday night. The Tides and Orioles need to find a solution to the difficulty that the current starters are having in the early innings. Again with few exceptions the bullpen has been solid since the All-Star break but the starting pitching needs to improve. The Tides are now scoring enough runs on a regular basis that they should be winning more games than they are losing. They are losing in the early innings when starters have given up too many runs to opponents. Examples include July 16th when Bascom gave up 6 runs in 1.2 innings, July 24th when Tillman gave up 6 runs in 3.2 innings, the 29th when Tillman gave up 5 runs in 4.1 innings, August 5th when George gave up 6 runs in 3.2 innings, August 6th when Bascom gave up 7 runs in 3.2 innings, the 8th when Britton gave up 5 runs in 3.2 innings and today when Bascom gave up 7 runs in 6 innings. All things considered getting down by that many runs that often makes it very difficult on the offense. It is true that there have been many occasions when the offense failed to produce when starters pitched well but the trend lately is to get behind early and despite solid performances from the offense to score plenty of runs and get plenty of hits and nearly come back to win. Tides hitters are showing signs of life, in the past 10 days Nolan Reimold has hit .389 with 2 home runs and 9 RBIs, Robert Andino .350 with 5 RBIs, Scott Moore .324 with 2 homers and 6 RBIs, Matt Angle .385 and 5 RBIs. A couple of players hot earlier have cooled down or are slumping but even so in the past two weeks the Tides team batting average has gone up from .248 to .252 with corresponding increases in other offensive categories, a sign that overall the hitting is getting better. On Tuesday night the Tides lost 10-6 and following the injury to Chris George saw the bullpen not be able to get the job done giving up 10 runs (7 earned) on 12 hits with 2 errors and walking 5 in 7.1 innings, a game ERA of 8.87. Tides hitters had a good night of their own pounding our 6 runs on 12 hits including a home run by Scott Moore, an inside the park home run by catcher Adam Donachie and doubles by Michael Aubrey, Rhyne Hughes and Donachie who had 4 RBIs. Cla Meredith (1-2 7.65 ERA) got the loss for the Tides and Joe Martinez (1-0 4.00 ERA) the win for the Tribe. Today it was Tom Bascom who was stung giving up 7 runs, )4 in the 4th inning) in 6 innings work relievers Kam Mickolio, making his first appearance since coming off the DL and Denis Sarfate each pitched well, Mickolio allowing a hit but no runs and Sarfate putting the Tribe down in order with 2 strikeouts. 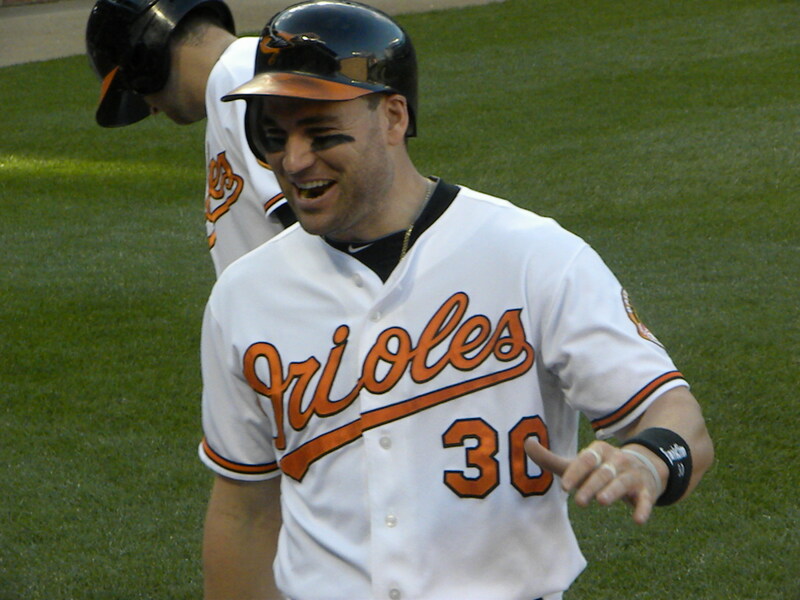 Nolan Reimold had two hits one a double with 2 RBIs, Robert Andino had a RBI producing sacrifice fly, Michael Aubrey had a RBI double and Brandon Snyder a double. The Tides and Indians finish the series Friday night with Rick Vanden Hurk (1-1 2.84 ERA) on the hill for the Tides and Brad Lincoln (6-3 4.17 ERA) up for the Indians. The Orioles played their second game of a 3 game series against Cleveland and defeated the Indians 3-1 on the strength of a 2 hit complete game shutout by Brad Bergeson. The Orioles are now 8-1 under Buck Showalter and are now 40-74 for the first time during the season not having the worst record in the majors, which is now held by the Pittsburgh Pirates. They are close to overtaking the Mariners and within striking distance of the Indians, Royals, Cubs, Diamondbacks and Nationals. Showalter is a leader a precise man that uses statistics, views of others in the organization and his own observations to evaluate players including their competitive spirit. Anyway, it is late; I am tired and have an early morning. Chris George got roughed up by the Toledo Mud Hens on Friday night at 5th 3rd Field in the second game of a four game set between the Norfolk Tides and the Mud Hens. Chris gave up 3 runs in the 1st inning on a 3 run homer by Jeff Larish with 2 outs in the inning. Chris was stung again in the bottom of the 2nd when Scott Sizemore hit a 2 run blast with 2 outs in the bottom frame of that inning. The Tides got a run in the 1st inning when Matt Angle singled, stole second and advanced to 3rd on a throwing error by Mud Hens catcher Jeff Kunkle. He scored on a ground ball hit by Robert Andino. 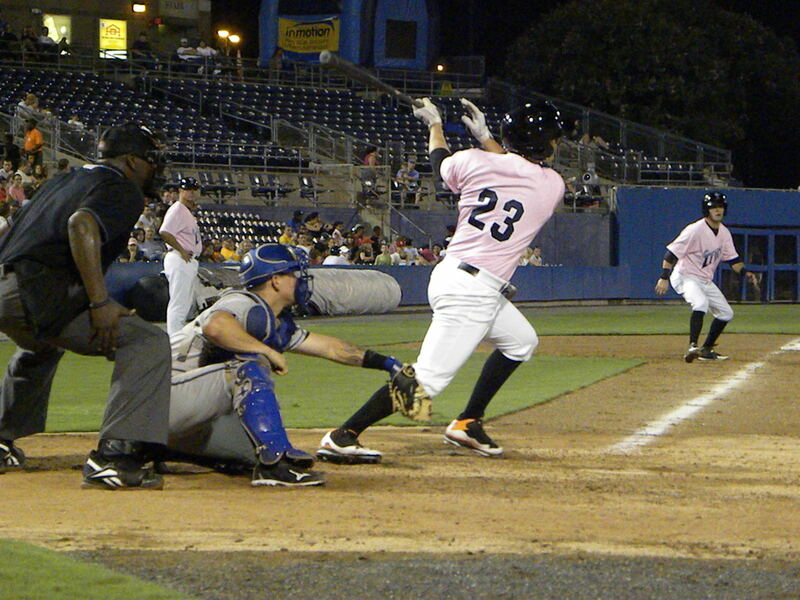 In the second inning the Tides scored again when Nolan Reimold and Michel Hernandez singled and Reimold scored on a ground out by Blake Davis. With the score 5-2 the Mud Hens picked up another run on George when Jeff Kunkle doubled and scored on an RBI single by Brent Dlugach. The Tides made the game closer in the top of the 5th inning closing the gap to 6-4. Matt Angle walked and then erased on a force out when Robert Andino grounded to third. Jeff Salazar popped out to third for the 2nd out bringing Josh Bell to the plate. Bell walked and was followed by Michael Aubrey who doubled to score Andino and Bell. The rest of the game was about relief pitching. George left the game in the top of the 5th having surrendered 6 runs on 9 hits including 2 home runs in 4 innings work. In those 4 innings he threw 85 pitches. Mike Hinckley came on in relief pitching the 5th and 6th innings allowing 2 runs but no runs walking none and striking out two. Alberto Castillo came on in the 7th and pitched two scoreless innings giving up no hits or walks and striking out two. The Mud Hens relievers were just as effective as the Tides. Josh Rainwater came into the game in the top of the 6th inning and pitched three scoreless innings allowing 2 hits. John Sborz closed the game getting his 15th save of the campaign allowing no hits though Robert Andino reached on an error by Scott Sizemore. The game ended with the Tides having 4 runs on 9 hits with two errors and leaving 8 men on base. The Mud Hens had 6 runs on 11 hits and one error also leaving 8 runners on base. Ruddy Lugo (2-3 8.23 ERA) got the win for the Mud Hens while Chris George (2-2 4.28 ERA) got the loss. On Saturday the Tides bats came alive to give Troy Patton his 5th win of the season, something that Troy had not had much of early in the year. Troy pitched 5 innings allowing 3 runs, only one of which was earned, 6 hits, 2 walks and 2 strike outs. Armando Gabino back in the middle relief role with the return of Brad Bergeson to the Tides came into the game in the top of the 6th inning and remained strong in relief pitching three scoreless innings giving up three hits. Cla Meredith closed the game for the Tides and for the first time since his arrival shut down the opposing team pitching a one-two-three 9th inning striking out two. The Tides went to work on Mud Hens pitchers beginning with the starter Lauren Gagnier who they tagged for 6 runs on 9 hits including a 3rd inning home run by Josh Bell, his 8th of the season. The Mud Hens got out to an early lead scoring on a pair of doubles by Scott Sizemore and Jeff Frazier however they would not score again until the 5th inning when Patton walked Scott Sizemore and then made a throwing error on a force attempt which allowed Jeff Frazier on board. Jeff Larish doubled to score both Sizemore and Frazier but Patton would pitch out of trouble ending the inning. The Tides scored early pounding out 4 runs in the top of the 2nd inning against Gagnier. 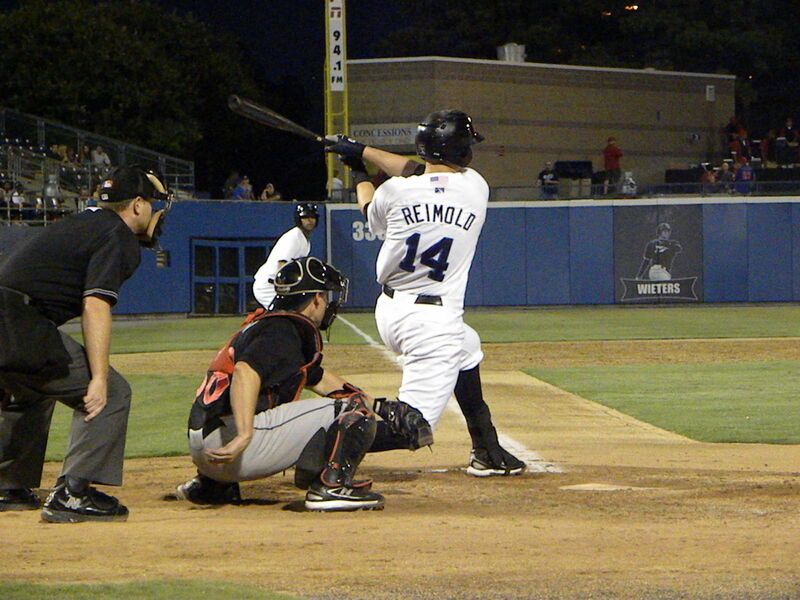 Nolan Reimold doubled with one out and took third on a wild pitch. Michael Aubrey walked and with Robert Andino batting Gagnier threw wild on a pickoff attempt allowing Reimold to score and Aubrey to take 2nd. Andino struck out swinging and catcher Michel Hernandez singled to score Aubrey and took second on the attempt to get Aubrey at home. 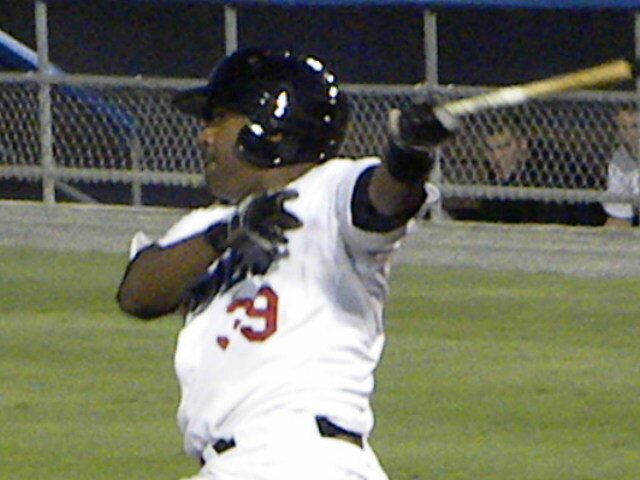 Paco Figueroa singled to score Hernandez and scored on an RBI double by Matt Angle. Josh Bell hit his 8th home run in the top of the 3rd and made the score 5-1. In the top of the 6th Hernandez singled with one out and scored on a triple by Paco Figueroa. This sent Gagnier to the showers and brought in Matt Hoffman. Then the Tides did something that they have not done this year, made the bold attempt to steal home. Figueroa was out at the plate but the next batter, Matt Angle singled and scored on Jeff Salazar’s 10th home run of the season to make the score 8-3. In the top of the 8th with Hoffman still pitching Michel Hernandez doubled and Paco Figueroa walked to chase Hoffman from the game and bring on Scott Drucker. Drucker got Matt Angle to ground into a double play giving the Mud Hens hope that they might stop the Tides. His hopes were dashed when Salazar hit his second home run of the game, his 11th of the season. At the end of the day it was the Tides wining scoring 10 runs on 14 hits and one error with three home runs leaving 6 men on base. The Mud Hens scored 3 runs on 9 hits also having an error leaving 9 runners stranded. Troy Patton (5-7 4.74 ERA) got the win and Gagnier (3-3 3.49 ERA) got the loss. The teams play the final game against each other for the season tonight with Brandon Erbe (0-9 6.03 ERA) going up against Alfredo Figaro (5-4 4.36 ERA) on the hill for the Hens. In a personnel note Tides outfielder Joey Gathright was reactivated coming off the 7 Day Disabled List. After being blanked by the Columbus Clippers on Tuesday the Norfolk Tides opened their four game series with the Toledo Mud Hens with a come from behind with at 5th 3rd Stadium in Toledo. The Tides got out to a 1-0 lead in the top of the 3rd inning when Matt Angle got a bunt in for a hit and took second base on a throwing error by Toledo Pitcher Ryan Ketchner. He the stole third base on the first pitch by Ketchner to Robert Andino and scored on the next pitch when Andino hit a sacrifice fly to Center Field. Unfortunately Tides starting pitcher Brad Bergeson making his first appearance for the Tides since being optioned from Baltimore after a dismal performance. 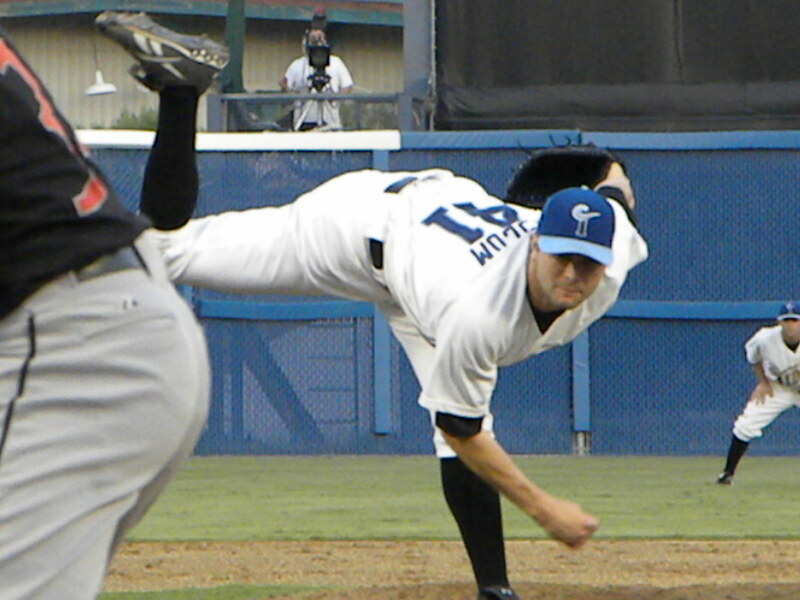 Bergeson who had been successful in 2009 until being injured has not been nearly as effective in the big leagues and was sent down earlier in the year for a tune up with the Tides. 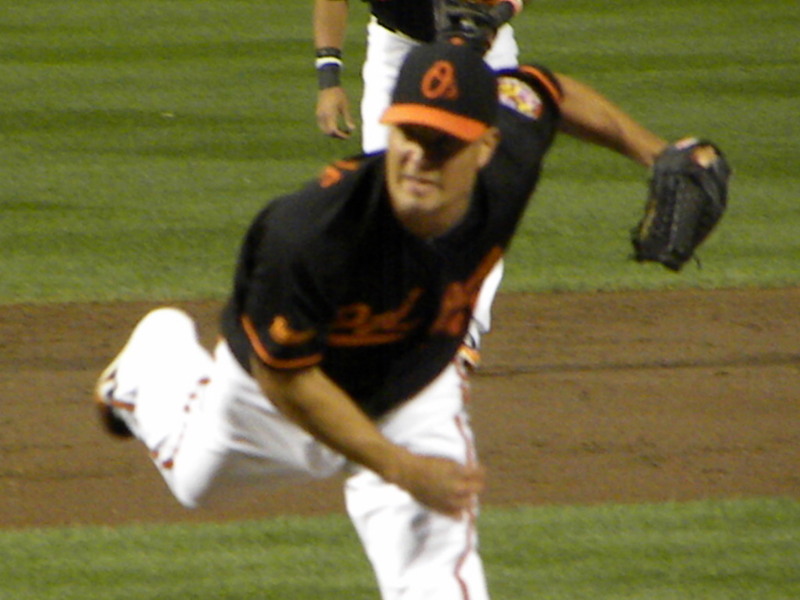 During that stint he won the one game that he started and returned to the Orioles. Obviously that was what the desire was for Thursday night but Bergeson struggled allowing 3 runs on 5 hits with 2 walks with 3 of the hits and a walk in the 3rd inning using 65 pitches before being pulled out of the game with 2 outs in the 3rd inning. Now behind by a score of 3-1 the Tides brought in Jim Miller to relieve Bergeson. Miller pitched well going 3.1 innings allowing only 1 hit while striking out 5 Mud Hens. He was relieved in the 7th inning by Mike Hinckley who put the Hens down in order.In the 8th inning the Tides sent 11 men to the plate as the diamond resembled a merry-go-round of Tides players. Paco Figueroa led off the inning with an infield hit and followed by Matt Angle who was walked by reliever Daniel Schlereth who had entered the game at the top of the inning. Robert Andino then singled to load the bases for the Tides. Jeff Salazar reached on a failed force attempt by Mud Hens First Baseman Jeff Frazier which scored Figueroa to make the game a 3-2 game with the bases still loaded. Josh Bell struck swinging bringing Michael Aubrey to the plate. After a called strike Schlereth threw four straight balls to walk Aubrey and score Matt Angle to tie the game. The walk was the signal for a new pitcher and Scott Drucker replaced Schlereth. Nolan Reimold who continues to work his way out of the ooze of his slump doubled on a 1-0 count to Left Field driving in Andino and Salazar and giving the Tides a 5-3 lead. Drucker then intentionally walked Rhyne Hughes to get to weak inning catcher Adam Donachie. Donachie hit a sacrifice fly to Left to score Aubrey before hitting Paco Figueroa with a pitch to reload the bases before getting Matt Angle to ground out to short to end the inning. Now with a 6-3 lead the Tides brought in Ross Wolf to pitch the 8th inning and Wolf pitched a scoreless 8th allowing only a single by Casper Wells. The Tides had 2 runners on with 2 outs in the top half of the 9th inning but did not add any insurance. This sent the game into the bottom of the 9th where Bobby Dickerson brought in Denis Sarfate allowed a one out walk before striking out Scott Sizemore and Brent Dlugach to end the game. The Tides had 6 runs on 12 hits and 2 errors leaving 9 men on base. The Mud Hens had 3 runs on 7 hits with 3 errors and left 8 men stranded. 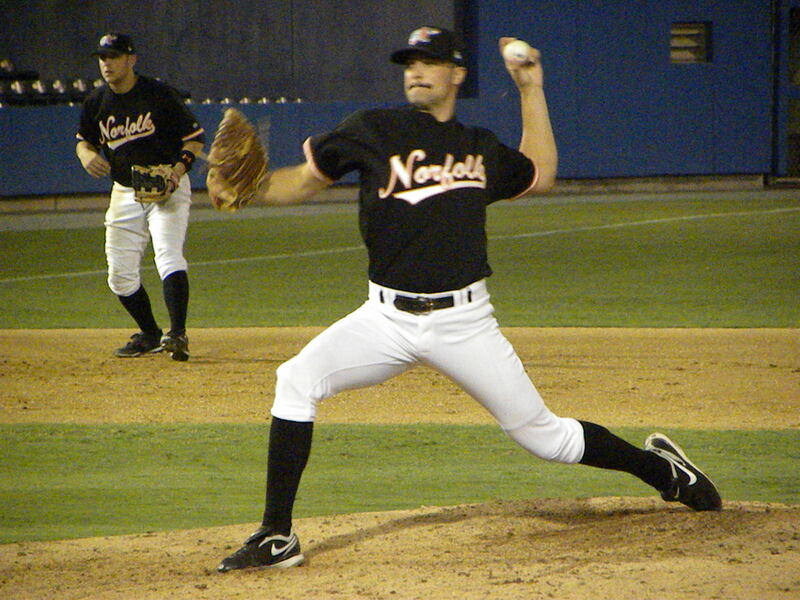 The wining pitcher was Mike Hinckley (1-3 7.71 ERA) Denis Sarfate got his 9th save. The Tides and Mud Hens face each other tonight with Chris George on the hill for the Tides facing Rudy Lugo. In personnel news pitcher Andy Mitchell was placed on the 7 day Disabled List. 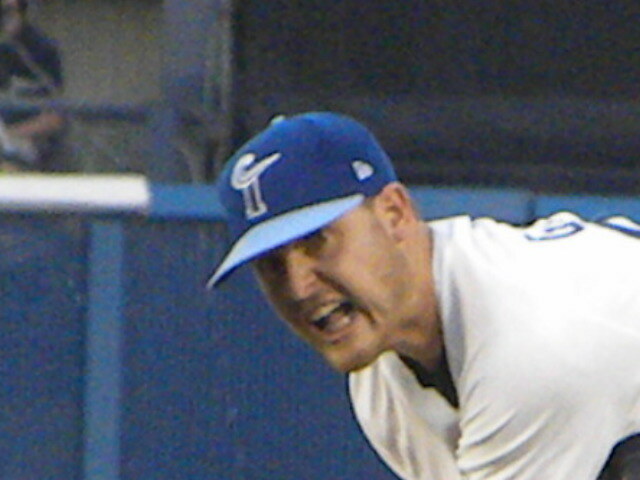 The Norfolk Tides took the second game of their four game set against the Rochester Red Wings behind solid pitching by Chris George and Denis Sarfate. With the game time temperature at a comfortable 75 degrees and a light 5 mile and hour wind blowing out to center field under clear skies it was a beautiful western New York night for baseball in front of just under 5000 fans. The game began on the wrong foot for the Tides when on the second pitch of the game Jason Repko hit a ground ball to third which Josh Bell mishandled and was charged with an error. Repko stole second and took third on a ground out by Brian Dinkelman. He would score on a single by Trevor Plouffe. This would be the only run allowed while George was pitching and was unearned. The Red Wings did not score again until the bottom of the 8th inning. In 6.2 innings work George gave up 5 hits and 2 walks while striking out 5 Red Wing batters. Rochester starting pitcher Glen Perkins held the Tides in check until the 4th inning. In the fourth Josh Bell hammered his 16th double of the season and Nolan Reimold still digging out of his horrific hitting slump on his arrival in Norfolk then singled. Paco Figueroa came up next and singled to score Bell and was followed by Adam Donachie who singled to drive in Reimold giving the Tides a 2-1 lead. George would get the first two batters of the 7th inning but after hitting Brian Dinkelman with a pitch was relieved by Ross Wolf who got the next batter, Trevor Plouffe to ground out to Brandon Snyder at first. In the top frame of the 8th inning the Tides scored again. Robert Andino doubled to lead the inning off of Red Wings reliever pitcher Brad Hennessy. Hennessy intentionally walked Josh Bell and got Nolan Reimold to pop up to first base for the second out. Brandon Snyder came up to the plate and singled the first pitch delivered by Hennessy into center field which scored Andino. 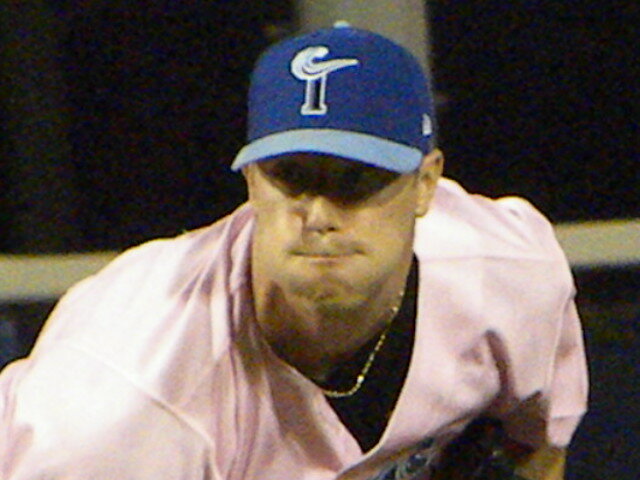 In the bottom of the 8th the Tides brought in newly activated relief pitcher Cla Meredith who had been optioned to Norfolk from the O’s late last week. Matt Macri singled to lead off the inning and Meredith walked Brock Peterson. Wilson Ramos advanced both runners on a sacrifice bunt to first base and Meredith struck out Jose Morales. On a 0-2 count Dustin Martin singled to drive in Macri and Ramos to tie the game, which netted Meredith his first blown save in Norfolk. He was able to retire Jason Repko to end the inning. In the top of the 9th with one out Joey Gathright singled on a ground ball to second and advanced to second on a throwing error by second baseman Brian Dinkelman and Matt Angle singled to bring Gathright home to retake the lead for the Tides. In the bottom frame the Tides brought in Denis Sarfate sent the Wings down in order on 12 pitches for his 4th save of the season. Cla Meredith got what I am going to start calling the “unsave” instead of a standard “blown save.” The definition that I give to the “unsave” is a blown save where the reliever who blows the save ends up getting the win. It’s kind of like when 7-Up was called the “uncola” it’s not a save and yet it doesn’t have the same sting as a blown save, unless perhaps you are the pitcher that would have had a win had the reliever not blown the save. Unsaves are kind of wins that a pitcher falls into as he has to blow the save to get the win which if you think about it is not a way that you want to win if you can avoid it. But anyway I digress. The Tides had 4 runs on 12 hits with 1 error and left 10 on base while the Red Wings had 3 runs on 8 hits and 1 error and also left 10 men on base. 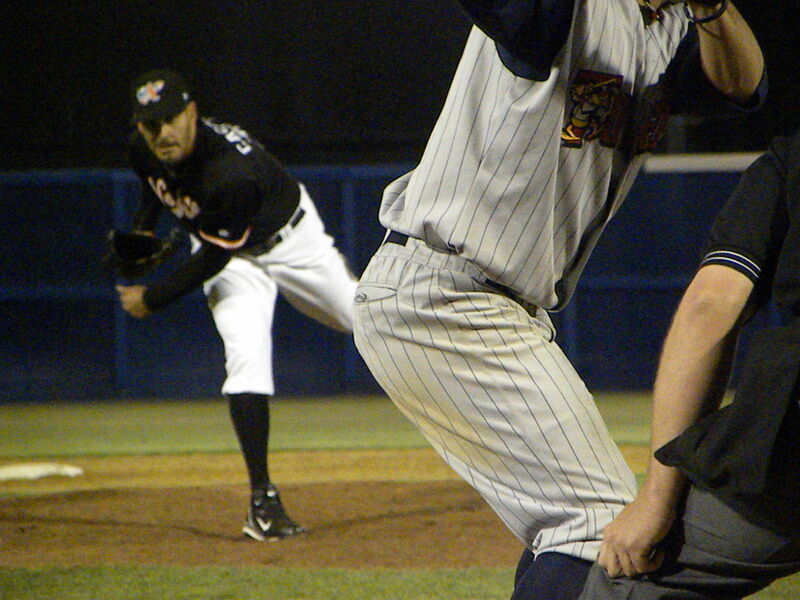 Cla Meredith (1-0 18.00 ERA) got the win for the Tides and Denis Sarfate (0-0 S4 1.15 ERA) the save. Anthony Slama (0-1 1.80 ERA) took the loss for the Wings. Tonight the teams play game three of this series with Troy Patton (3-6 5.70 ERA) who dominated Pawtucket in his last start taking the hill for the Tides and Matt Fox (4-2 2.44 ERA) pitching for the home team. The Orioles lost their sixth straight, this time to the New York Yankees as Miguel Tejada committed an error which allowed two runs to score giving the loss to Brian Matusz who only allowed one earned run to the powerful Yankees attack. The loss dropped the O’s to 15-37with a .288 winning percentage. Things do not look any brighter tonight as the Yankees have a 6-0 lead in the 5th having driven Brad Bergeson from the game.